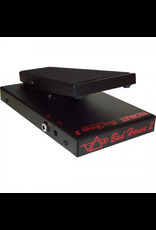 The Guitar God’s legendary, signature Wah with an added Contour mode. Morley spent years working with Vai taming this Bad Horsie and in 1996 released what would become one of the first artist signature pedals, and our best-selling Wah of all time. 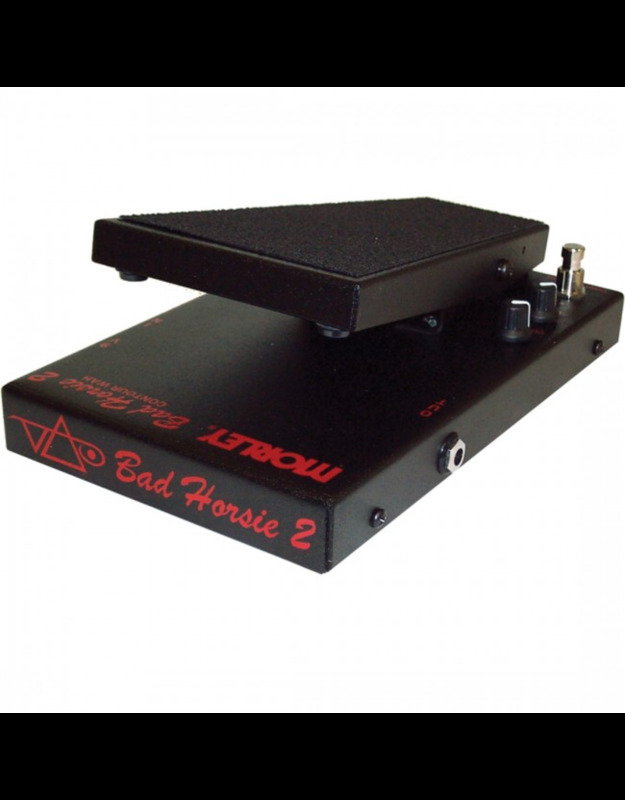 The Bad Horsie 2’s Contour mode allows you to adjust the frequency and tone giving you a wide range of tonal options. Two modes; Bad Horsie Wah and Contour Wah. 1st Bad Horsie Wah mode is set to Steve’s preferred tone and sweep. 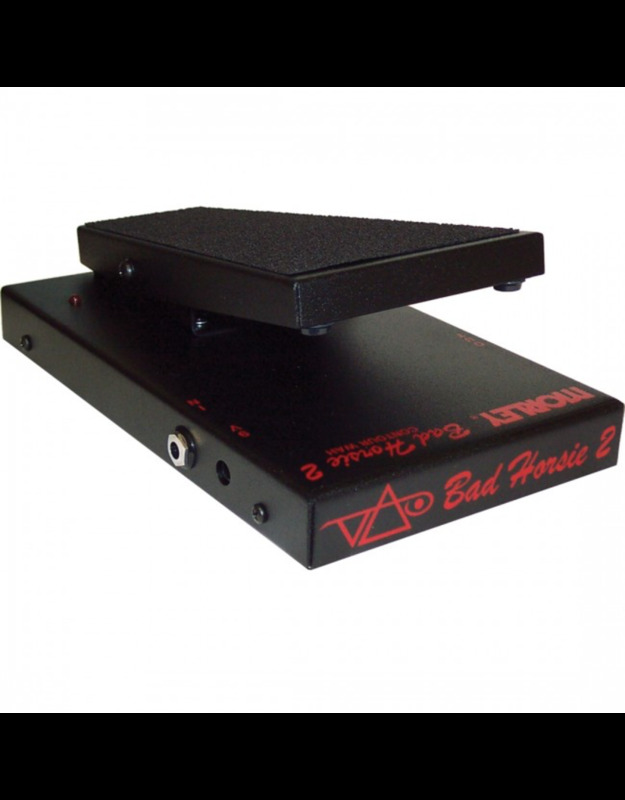 2nd Contour Wah mode allows you to alter the frequency and output of the Wah. Simply press the switch to active the Contour mode and use the CONTOUR knob to adjust the frequency and use the LEVEL knob to control the output.